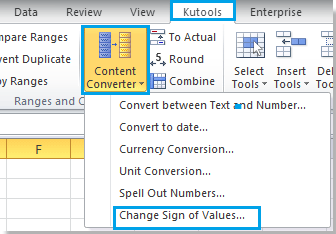 ExcelのKutools for Change Valuesは、すべての正の値を負の値に変更し、負の値をすべて正の値に変更することもできます。 バリュー・オブ・バリューの変更の詳細については、次のURLを参照してください。 サインの変更機能の説明の変更. 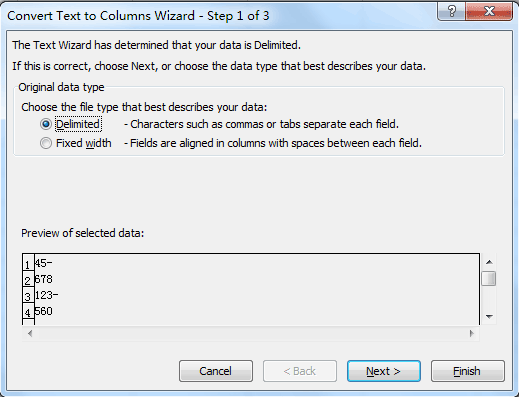 If the methods outlined on this webpage do not work for you, note that there are different "negative sign" characters, such as "‐" or "-" or "–" or "—"
I had been generating reports from a particular source which does not use the standard "-", and this problem had plagued me for days before I mustered the determination to find out the cause. 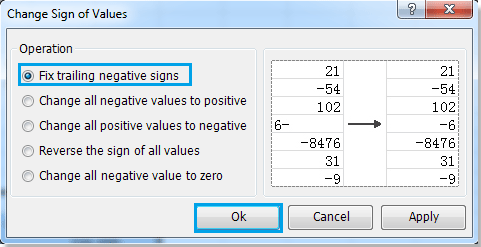 I'm sure you can imagine the feeling of satisfaction upon discovering the imposter "negative sign". 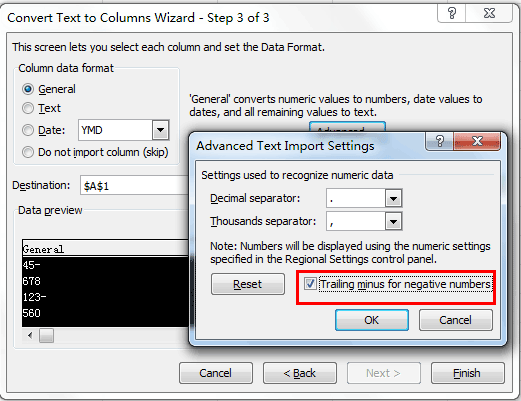 can any one guide me.. if i want to put values 1-9 for only one symbol (*) IN DIFFERENT CELLS. SAME SYMBOL WITH DIFFERENT VALUES.